Maggie, short for “Margaret,” is a great name for girl dogs who are tough or outgoing. Find out more about dogs named Maggie. 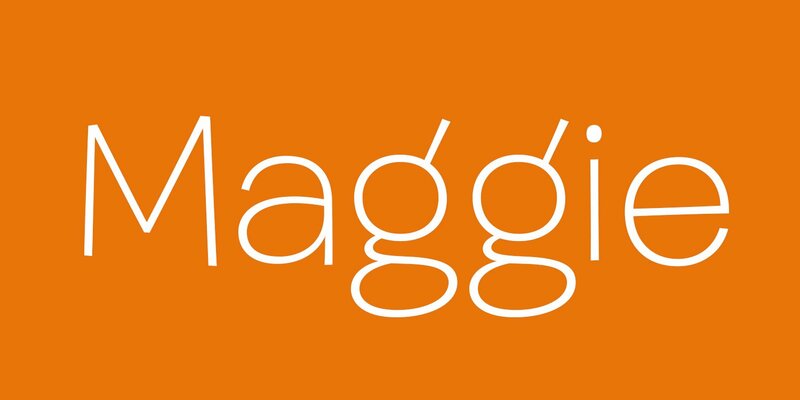 About This Name: Famous Maggies include actresses Maggie Gyllenhaal, Maggie Shiu and Maggie Smith. There are also famous authors, singer-songwriters, athletes and journalists named Maggie. Superstar Scarlett Johansson has a dog named Maggie, and so does popular country star Luke Bryan. Favorite fictional Maggies include Maggie Greene (The Walking Dead), Maggie Beckett (Sliders) and Maggie Simpson (The Simpsons). Is Your Dog Named Maggie? Leave us a comment below with a photo of your Maggie! Why do you think Maggie is the perfect name for your pup? We can’t wait to hear from you.